Low engine power usually means that your engine lacks power during acceleration or that your engine suddenly fails to reach normal driving speed. While low engine power could just mean that normal wear and tear has gradually taken away much of your car's horsepower, this guide is concerned with abnormal power loss—a failure caused by a system or component not working properly due to a fault or lack of adequate maintenance. 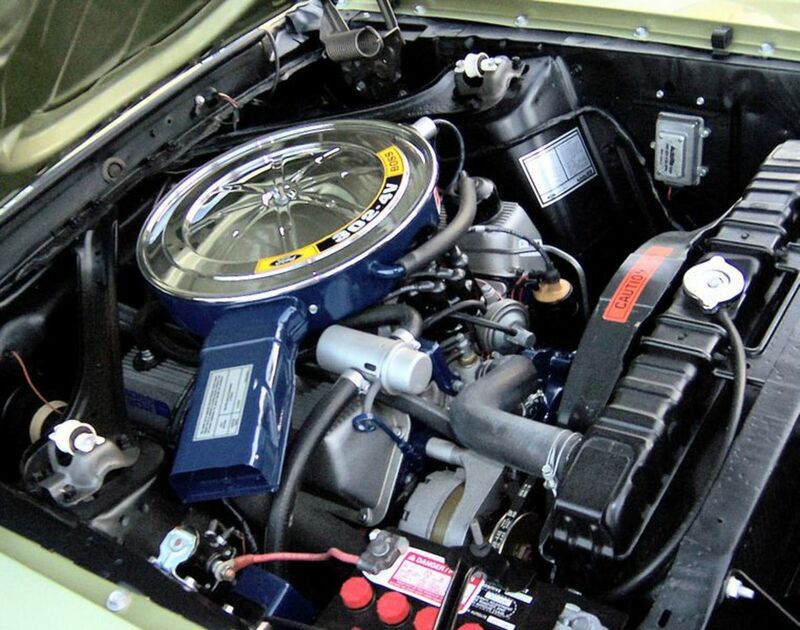 A low-engine-power condition can be caused by one or more of a long list of components in need of attention. Luckily, you can narrow down the list somewhat by knowing that some of the most common reasons for reduced engine power have to do with the fuel, ignition, or emission system. Whether you are dealing with a faulty part or lack of proper maintenance, the tests and strategies suggested below will help you regain your horsepower. The tests fall into different systems, specific faults, and conditions known to reduce engine power. Finally, you are reminded of some important diagnostics that may apply to your particular case. Each component or condition mentioned includes a "What You Can Do" section so that you can take some action when you think it's necessary. But first I'm going to list some very simple checks you should do before you get started testing. These are some important but simple checks to consider first. If you notice sluggish acceleration right after some work was done on your car, make sure that everything was connected back properly. 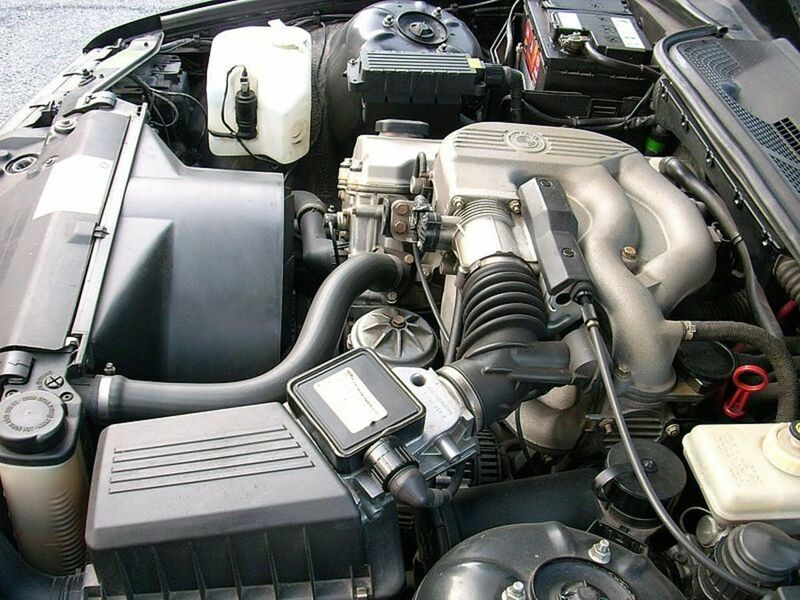 Check for loose hoses, unplugged electrical connectors, and loose bolts, and if fluids were changed, look to see whether the right engine or transmission oil was used. Check your tires' inflation pressure. If underinflated, your tires will drag on the road. Check inflation pressure with a tire pressure gauge when the tires are cold. Inflate tires 1 to 3 psi below the maximum pressure marked on the sidewall of your tires. Even if the check engine light (CEL) hasn't come on, scan your computer. You may have a pending code that can guide you to the source of the problem. 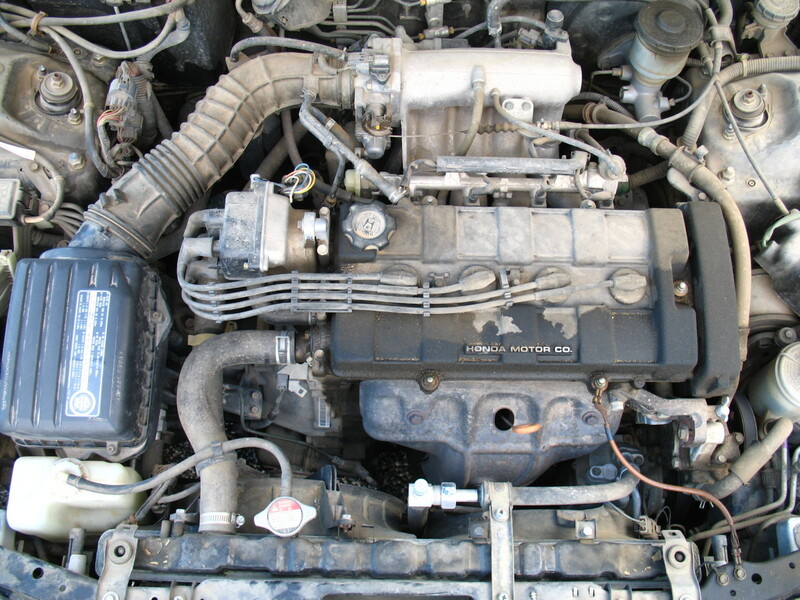 A malfunctioning sensor or actuator may cause the car computer (or transmission) to receive signals with the wrong voltage, causing the computer to lean the air-fuel mixture and rob your engine (or transmission) of power. Whatever codes you find, always test the circuit or components indicated in the trouble code. It is possible that a related fault may have the computer "think" that another circuit or component is failing. 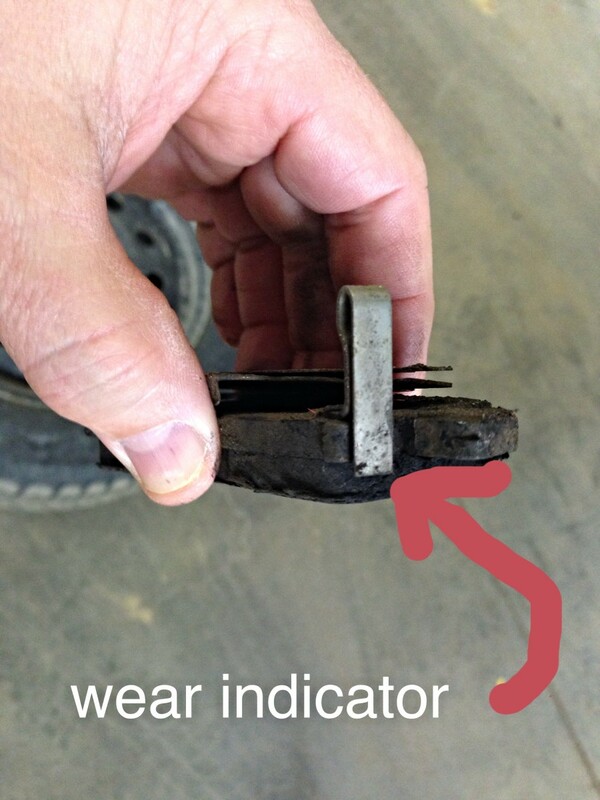 On some vehicle models, a failing camshaft position (CMP) sensor can cause your engine to suddenly lose power; the computer will most likely set a code if it detects a problem with this sensor. Many GM vehicle models come equipped with a Reduced Engine Power (REP) warning light, similar to the Check Engine Light (CEL). 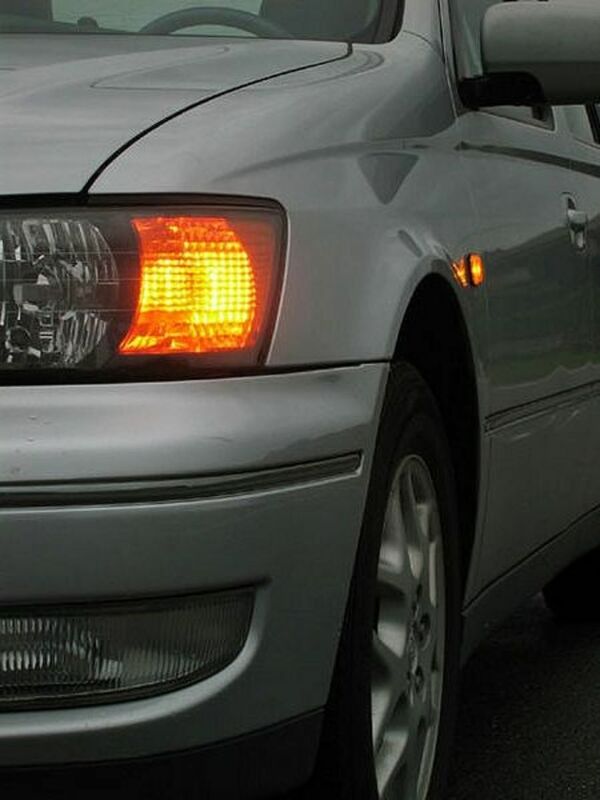 When this light (or both lights) comes on, you'll notice the engine barely responding to the accelerator. This is a scary situation if the problem happens while you are driving down the highway or in heavy traffic. The most common triggers of this warning light are the harness connecting to the throttle position sensor (TPS), or the TPS itself. Other problems that can trigger the REP light come from the throttle body (including wiring), oxygen sensor, accelerator pedal position (APP) sensor (or harness), low engine oil pressure, or coolant loss. Watch the video below for more information about this problem. Now here are the eight systems that commonly contribute to low power, and how you can test them yourself. Sluggish engine behavior can very often be traced to worn or faulty parts in the ignition system. Several components in the system need service at regular intervals. For example, spark plugs and spark plug wires, but the ignition coil and ignition timing should be checked as well. If any of these components cause you are not getting a good spark, your engine will be sluggish. What You Can Do: When you feel your engine sluggish, one of your first checks should be to inspect the spark's strength. Use an adjustable spark tester ( Thexton is an acceptable brand) to check the spark's health. Check at 40KV and 30KV. If your spark can't bridge that gap at those settings, you may have worn out wires, a weak or failing distributor, a bad ignition coil or a bad ignition control module, depending on your particular module. Check the tests that follow, and consult your vehicle repair manual for the proper diagnostic for your particular model. If you don't have the manufacturer's service manual, I strongly recommend getting an aftermarket manual for your exact model ( Haynes is a good inexpensive brand). When doing a visual inspection of the ignition system's components, like the distributor cap, rotor, ignition coil, or coil pack, look for carbon traces, carbon buildup, and damage as well. Carbon traces are like small lines of carbon that form around these components. They can short out the voltage going through the system, robbing the spark plugs of the necessary voltage to produce a good spark. Replace them if necessary. After checking the spark strength, if necessary check the following individual system components. The spark plugs may become fouled with carbon deposits and other chemical byproducts, especially if the vehicle hasn't been maintained on the suggested schedule. Fouled plugs can't produce an adequate spark to ignite the air-fuel mixture. Also, after miles of service, the gap between the spark park electrodes will widen due to wear. What You Can Do: Make a visual inspection of the spark plugs and check the gap between the electrodes using a wire feeler gauge and adjust it if necessary. Your car owner's manual or repair manual has the proper gap for your spark plugs. Your service manual can help you analyze your spark plugs, which can reveal much about the condition of your engine. Just like spark plugs, spark plug wires wear out, and after miles of operation they can prevent the spark from reaching the spark plugs. What You Can Do: Check each wire resistance using a digital multimeter (DMM) and compare your readings to the specifications in your repair manual. Usually, you need about 5000 Ohms per foot of wire. Otherwise, replace them with a quality set of wires. 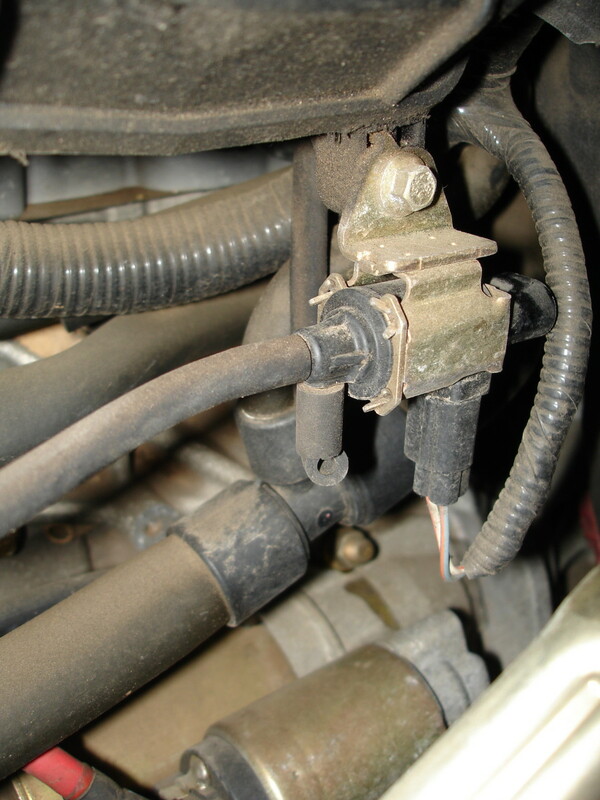 The ignition coil produces the high voltage needed for the spark to jump the gap between the spark plug electrodes. That voltage is typically anywhere between 4000 and 30,000 volts, depending on your particular vehicle model. Ignition coils also wear out or fail, resulting in a weak spark, an intermittent spark, or no spark at all. What You Can Do: You may be able to test the ignition coil(s) or coil pack in your vehicle using a DMM, with the help of your vehicle repair manual. Ignition timing refers to the relationship between the spark and piston position in the cylinder during the power stroke. The ignition timing must be correct for the proper combustion of the air-fuel mixture. When ignition timing is retarded you may notice an increase in fuel consumption, a drop in engine power, and poor acceleration. Timing problems can happen because of a worn out (overstretched) or damaged timing belt or chain. Even 2 or 3 degrees of difference from the correct timing can cause engine performance problems. On most modern vehicles ignition timing can't be adjusted directly, but you still may be able to check timing yourself. On older models with a distributor, you can check and adjust the timing yourself. For timing specifications, check the emissions control sticker located in the engine compartment, or your repair manual. What You Can Do: Check ignition timing using a timing light and a tachometer. If your ignition system uses a distributor, you can adjust the timing yourself if necessary. Consult your vehicle repair manual. Your manual may also have a service schedule interval for the belt or chain. Although modern fuel injection systems may come in different configurations, they all share many components like fuel injectors, control modules, and sensors. Any of these components can fail and cause your engine to lose power. The fuel system can give you as much trouble as the ignition system. When the engine feels sluggish, there are some parts you need to check. Over time, the fuel filter becomes clogged, reducing fuel flow and preventing your engine from accelerating properly. What You Can Do: Check your car owner's manual or repair manual for the service schedule for the fuel filter. 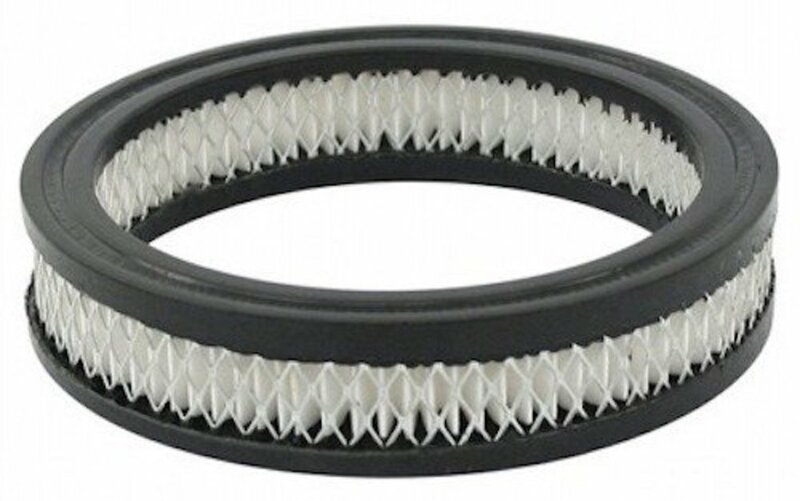 Even if your filter is not the root cause of the problem, replacing the filter at the manufacturer's suggested interval will relieve stress from the fuel pump and increase its service life. Whenever your engine is running, the air filter in the air cleaning system traps dirt, dust, and other foreign particles and removes them from of the air stream flowing into the engine. Eventually, the filter clogs up. And a badly clogged air filter will make your engine work much harder. You'll notice it. 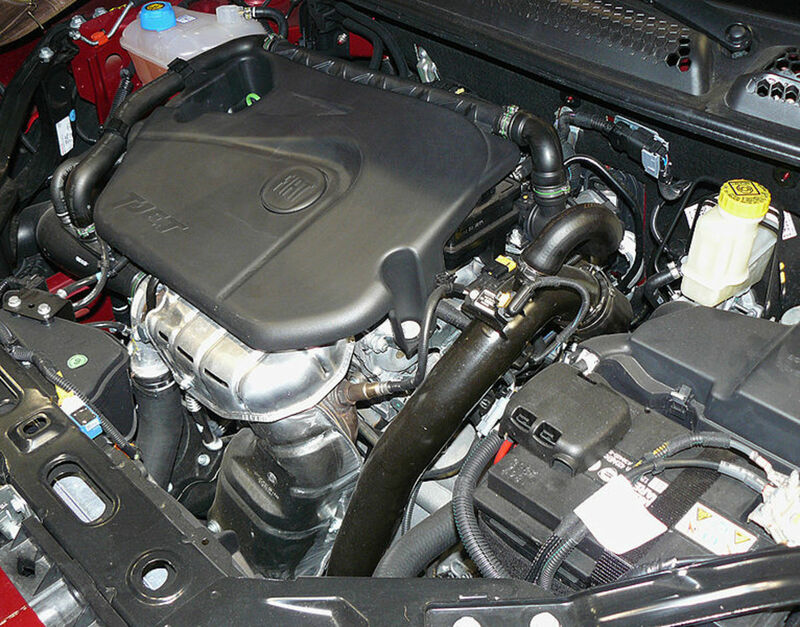 What You Can Do: Most car manufacturers recommend replacing the air filter every 12 months. So make sure to check your air filter, and replace it if necessary. Consult your car owner's manual or repair manual. The most common trouble with fuel injectors leading to engine power loss is clogging. But they can fail as well. On throttle body injectors (TBI), you can check the injector's fuel spray pattern by removing the lid off the air filter housing. The spray of fuel should be even and partially atomized, following an inverted V pattern. You can add fuel additive to clean a mildly clogged injector, or take it in to your shop for service. However, if the internal valve in the injector has failed, not just clogged, you'll need to replace it. On a multiport fuel injection system, dirty or clogged injectors are harder to detect. Depending on the configuration of your particular system, you may find it relatively easy to detach each of the injectors from their port to check their spraying pattern. On other systems, disassembly is a more involved process. If you suspect dirty injectors, or you haven't serviced the injection system in a while, you can try adding a fuel additive to the fuel tank. Otherwise, you may have to take your car in for an injector balance test, which measures the amount of fuel each injector sprays when energized. Throttle plate malfunctions are not common but they do happen. What You Can Do: You can quickly check the throttle body to make sure the valve—the throttle plate—opens fully when the accelerator pedal is fully depressed. Remove the air ducts or air filter box lid to gain access to the throttle body. Ask an assistant to fully depress the accelerator pedal with the engine off. Verify the throttle valve responds accordingly to pedal operation. Otherwise, adjust or fix the throttle linkage, or remove carbon buildup from the valve and throttle bore. Buildup may also interfere with proper valve operation. A faulty fuel pressure regulator can allow either too much fuel to flow into the engine or too little. What You Can Do: Test fuel pressure using a fuel pressure gauge. The test can point to problems with the fuel pump (low pressure or low volume), a clogged fuel filter, or a faulty fuel pressure regulator. Locate the Schrader valve on the fuel rail (this is a test fitting similar to the air valve on your tires). If your model doesn't come with this valve, you still can connect the gauge directly to the fuel line using adapters (consult your repair manual). Then, follow the steps described in your repair or service manual and compare your readings to the specifications. Another possible, though not common, cause for loss of engine power during acceleration is failure of the exhaust gas recirculation (EGR) valve. The EGR valve allows a measured amount of exhaust gases at higher-than-idle engine speeds to re-enter the engine to reduce engine high temperature and harmful emissions. 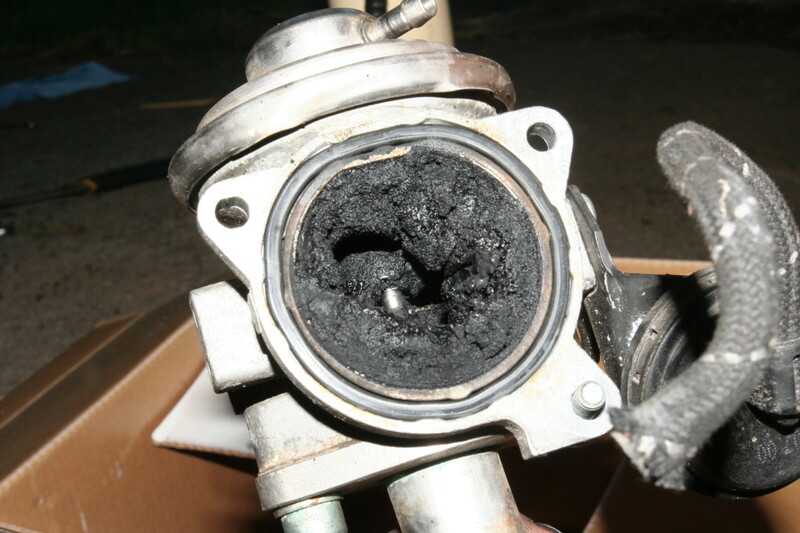 When the EGR valve fails, it may stick open or closed. If the valve sticks (or intermittently sticks) open or fails to operate properly, the most common symptoms you'll notice are rough idle and stalling during acceleration; but other times you'll just notice a lack of engine power when depressing the accelerator. What You Can Do: You can check the EGR valve at home, using a hand-held vacuum pump. As part of the computer system, both the manifold absolute pressure (MAP) sensor and manifold air flow (MAF) sensor influence on the air-fuel mixture as controlled by the computer. Usually, the car computer stores a trouble code in memory when detecting a fault with either sensor. What You Can Do: Even if your Check Engine Light is not on, it's a good idea to scan the computer for pending trouble codes. The most common problem with MAF sensors is a dirty sensing element. You can clean it with electronic contact cleaner spray or MAF cleaner. Whether your car comes equipped with a MAP or MAF sensor, you may be able to test it at home. Consult your vehicle repair manual. Leaks may happen because of a loose, deteriorated, or broken vacuum hose; a blown gasket, or a damaged throttle body gasket. Using a length of rubber hose, put one end of the hose against your ear and use the other end to listen to the different vacuum hoses. Check around the edge of the intake manifold and throttle gaskets. A leaking vacuum hose or gasket will produce a hissing sound, and you'll be able to hear it with your rubber hose. Just be careful around moving engine components as you troubleshoot vacuum hoses. If you have an automatic transmission, and you haven't checked the transmission fluid lately, it's time to do it. If you have a manual transmission, it is possible the clutch is slipping. A common symptom of low or contaminated automatic transmission fluid is slippage. Your engine races but your car doesn't move. Power is not being transferred to the wheels, giving the impression that your engine is lacking power. The same thing may happen in a manual transmission vehicle when the clutch is worn out; power doesn't get to the wheels. Check the transmission oil after the engine has reached operating temperature (drive or idle your vehicle for 20 minutes or more). Turn off the engine and allow the engine to sit for three or five minutes. Then pull the transmission oil dipstick. Use a rag to wipe the tip of the dipstick clean of oil. Fully replace the dipstick into its tube, and pull the dipstick out again. Allow the dipstick to rest horizontally on the rag. Oil level should be between the ADD and FULL marks toward the tip of the dipstick. Otherwise, add the necessary amount of the recommended fluid for your vehicle model. Inspect the fluid. It should have a clear reddish color. If the color is opaque and brownish or black, or has a burnt smell, replace it. Consult your car owner's manual or repair manual. Clutch slippage can be caused by a worn clutch disc, leaking oil seal, binding clutch linkage, clutch in need of adjustment, or even a bad motor mount. Just as your engine needs adequate air inflow, it also needs proper air outflow to push out all those gases produced during the combustion process. Still, a bit of back pressure is normal. The exhaust pipes, the catalytic converter, and the muffler at the back of your car are all designed and sized with the goal of minimizing pressure. Normally, water and acid are the most common enemies of a car exhaust system. But contamination, system overheating, and high mileage can result in restricted air flow. 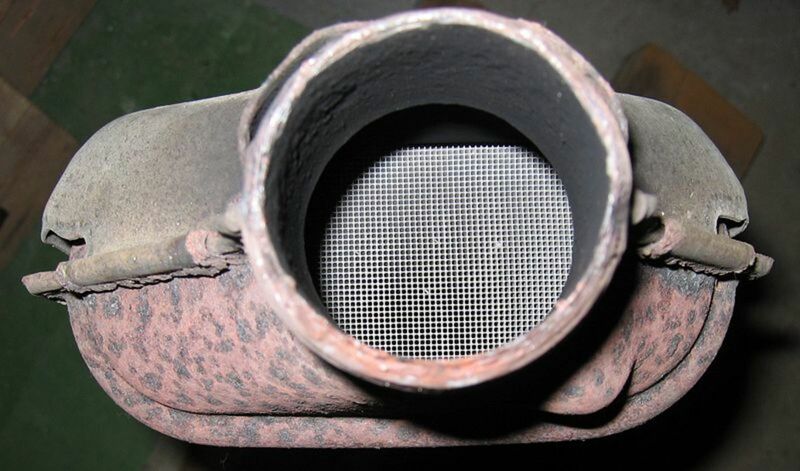 The most common victim of exhaust system restriction is the catalytic converter. Besides failing or collapsing through normal wear, internal catalytic components can melt due to overheating and contamination. Once the catalytic converter becomes plugged, you'll notice a decrease in engine performance, and, depending on the type of failure, a strong smell of rotten eggs coming out through the tailpipe. But problems may not stop there. If the converter plugs up, it can overheat and burst into flames. Test your exhaust system for high back pressure. After driving your vehicle for about 15 minutes, park your car in the garage and turn off the engine. Raise the vehicle and safely support it on jack stands. Using a kitchen thermometer, take the temperature reading of the inlet pipe at the catalytic converter (be careful, temperature there can reach over 1400F [760C]). Take the temperature reading of the outlet pipe at the catalytic converter. A clear difference in temperature means a plugged converter. Depending on the type of converter you have installed and the failure type, if the catalyst elements inside the converter have disintegrated, the converter will rattle when hit with a rubber mallet. Remove a pre-converter oxygen sensor. Install a pressure gauge in the threaded hole. Take a pressure reading at idle and at higher speeds. High pressure readings point to a plugged converter or muffler. Disconnect the muffler and repeat the test to locate the obstruction. Connect a vacuum gauge to the vacuum hose going to the power brake booster. At idle, snap open and close the throttle valve allowing the engine to reach a speed of about 2500 rpm. You should see the gauge needle drop to almost zero, return past your previous reading about 5in-Hg (inches of mercury), and go back to your previous reading. If the needle returns too slowly to the previous reading, you might have a restricted exhaust system. Poor acceleration can also have its source in engine compression problems. These problems are inevitable on high-mileage engines or those with a history of poor maintenance. And, as miles accumulate, more engine power is lost due to wear around cylinders, rings and pistons, and carbon buildup around valves. Rebuilding the engine might be necessary. What You Can Do: Do a compression test using a compression gauge. Block the throttle valve open. Disable the ignition system and the fuel system (those with electronic fuel injection). 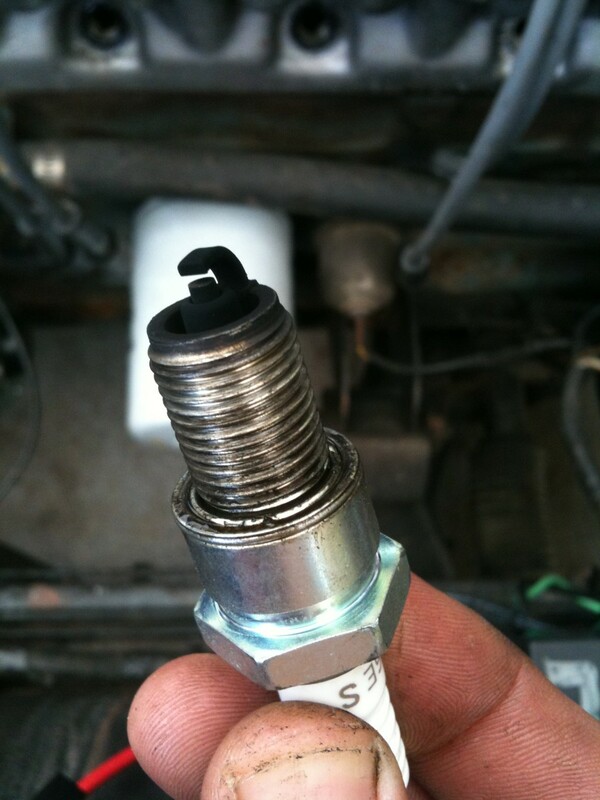 Connect the compression gauge to one of the spark plug holes. And crank the engine for about six compression strokes. Repeat the test on the rest of the cylinders. Then, compare needle movement patterns and pressure reading to specifications. Your vehicle repair manual may guide you through this test. You can avoid many low-engine-power problems, and many other issues, by following a proper regular maintenance schedule. The ignition and fuel system are often the primary culprits behind the problem, but a number of components in other systems can also cause the same issue. This guide helps you find the source of the problem, fix it, and save some money in the process. 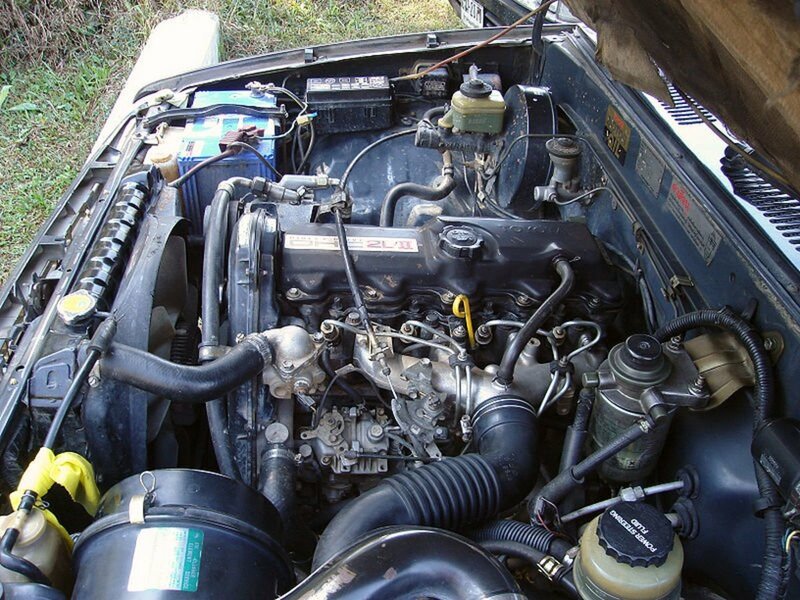 What is the reason for low engine power? Some models come equipped with a low-oil-safety feature that will prevent your starting the engine to avoid major damage. My Chevy Malibu keeps shutting off when starting and even while driving. The warning keeps saying power to engine reduced, engine disabled. What does this mean? This is a safety feature programmed into the computer to prevent damage. Make sure first your battery is good. But there could be some engine (like overheating) or transmission problem. Scan the computer for trouble codes and see what it says. My '05 Suburban a shows Check Engine and reduced power indication. It was temporarily resolved by replacing the gas cap and re-seating it. Where else should I look? Reduced power is to protect the engine from damage. Check the engine codes and see where they ECU detected the problem and start there. There could be an engine or transmission problem. My Saturn's engine lost power while driving and died. Now it won't start. What can it be? Check for fuel pressure. This could be a fuel system failure (failed fuel pressure regulator, bad fuel pump, or a circuit problem). Basically, it is the ignition of the air-fuel mixture inside the combustion chamber when compressed by the piston. Compression rises the mixture's temperature and allows the spark to cause a violent explosion of the air-fuel. 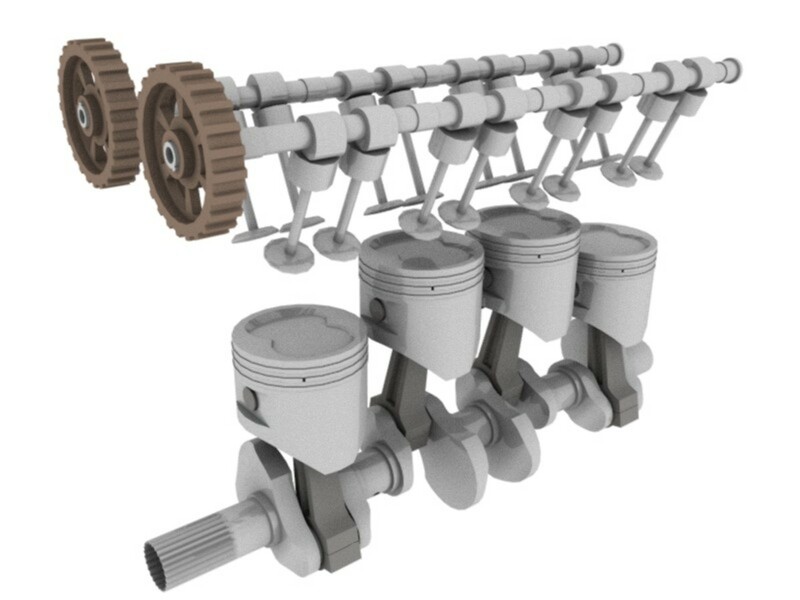 Here's a more elaborate explanation of an internal combustion engine's four cycle. My 2015 Chevy Traverse won’t accelerate past 40 mph and when the engine powered down a light came on. What is wrong with it? My 2005 Pontiac starts at minus 51, but the computer indicates the engine has low power and it won't run by itself. Everything else works, what could be the issue? The ECU might have gone into “safe” mode. Usually, this indicates a serious engine or transmission problem. You need to take in the car for a diagnostic soon. My 2009 Mercury Milan 4 cylinder has its check engine light on and blows smoke while on an incline. What is wrong? This is usually to alert you of an engine issue that can affect emissions, engine performance, drivability or the transmission. transmission symbol comes and says reduced engine power. Then check the coolant system. Black smoke may have one or more sources. Check for a clogged air filter first. Also, there could be a problem with the injection or emissions systems. If you’ve noticed the engine overheating, track the reason for the overheat first. Hope this helps. Fiat Stilo Diesel. Starts ok now with new glow plugs. Drives on the flat. Up hill it loses power. Sometimes black smoke when I rev engine. Black smoke if I accelerate hard in low gear.what might be the problem please? Start with the ignition and fuel systems. These are the most common causes. Bad spark plugs, wires, ignition coil - clogging fuel filter, dirty injectors worn out fuel pump. Check the spark and fuel pressure. My chevy hhr has been giving me reduced power on dash and even my engine shutdowns worth notice on dash i tried to check engine light and no one can read anything! What is going on n were do i stay without a reading? There could be several reasons for this, like restricted exhaust system, clogged air filter, fuel filter, sensor malfunction (camshaft O2), low compression, or failed injector(s). If it stalls when it warms up, check the ignition coil or fuel pump. If it is overheating, scan for trouble codes, and see if you get any information. AxleAddict , how much to find out why my 2009 Saturn vue get hot and stop running? Intermittent problems with the traction control system are not uncommon. Wheel sensors are very sensitive and problems with the module can sometimes make the computer 'think' that you are driving on a very slippery road and will keep power to a minimum and even engage the brakes that will prevent you from accelerating. You may want to first check the sensors for dirt or buildup --- if they are clean, you may need to take the vehicle to the shop so that it can be check with a scan tool. Hi, I have a problem with my car that should relate to this article (I hope). 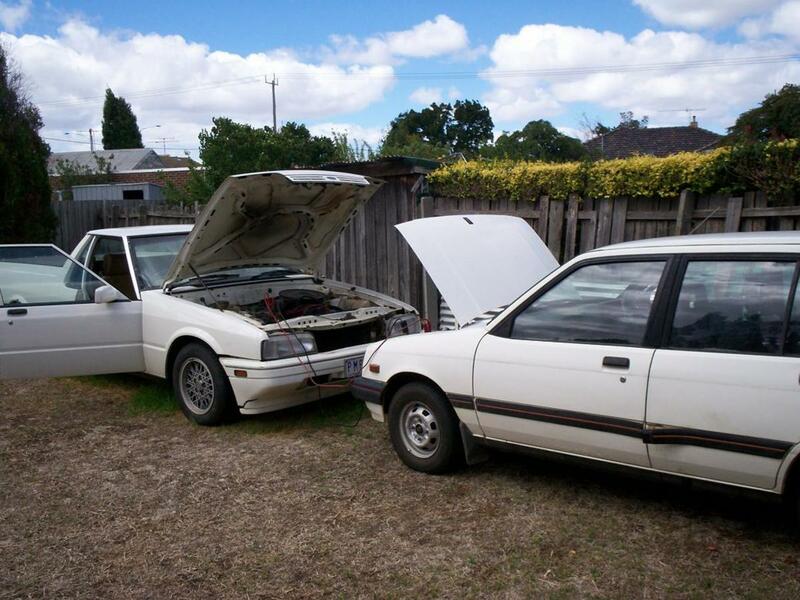 I've had my used Holden Astra CD "04" Manual 1.8L Sedan for 8 months. Between the 3 - 8 month period my car has malfunctioned 4 times as of todays incident. Every time this incident has occurred, is when it's (wet out/cold early mornings). Maybe, to take into consideration, my emissions light on dash board is yellow, not red yet but has been like this for at least 6 months. Today, when I drove my car from home 5 Kilometers. Turned off engine. Then ignited engine and left gas station. My car would sit at about 1000 revs, regardless if I accelerated. This continued within every gear (5 speed). My foot pressing on the accelerator had no effect to the revs even if accelerator pedal is flat to the floor. It would steadily drive itself unless I clutched, or positioned gear stick back into neutral, but it would still maintain 1000 - 1500 or so revs. Now that is only whilst on a flat road. As soon as the road inclined slightly it would rapidly reduce speed/ power. Quickly needing to return back to 1st or 2nd gear depending on the incline producing about 5-10 km up the hill. Again, pressing throttle had no impact. Long story short, while eyes were razor focused and adrenaline seeped into my bloodstream. I reached home avoiding any hills possible and turned the engine off. I drove about 15- 20 km like this. Before I got out of car I restarted the engine, and the revs were back to normal again. Another thing to point out during this hectic monumental drive home I noticed the traction control light was red. It disappeared though once the problem fixed itself. Again, this is the 4th time its happened and has not happened for at least a month or so. it may seem like an alternator or charging circuit problem. Current seems to be leaking when humidity rises. But also check the body control module. A trick is to have the engine idle turn on the accessories that you see problems with when it rains. Pop the hood open and start spraying a mist of water around the alternator wires and see if the accessories begin to act up. And as a single mom, its feels good to be able to diagnois a problem b4 taking my vehicle in for repair. It saves face! I have a 2007 ford escape. It has over 190k miles. The problem when it rains, or is cold: the lights insde dim or flicker,the a/c /heater looses power and radio turns off and on. If I leave these things off, the problem isnt as bad. This morning, when I turned off the engine, there was a clicking sound coming from under the hood. When I tried to lock the doors, it clicked a few times before actually locking! I recently had the alternator replaced, battery is perhaps 6 months old, oil remains changed & cleaned. Im not sure what it could be.